So, you clicked on this link cause you were curious on what exactly a vortex capsule is. I’ll explain. As the coolant flows through the engine, it flows through rough casting and small orifices that cause hot spots, These hotspots cause the water/coolant to vaporise thus causing small steam bubbles as seen in the example below. These Steam bubbles on a factory coolant system in the high performance world can cause extreame overheating issues. In most cases the way the factory system is designed, these bubbles have no way in being removed and simply get recycled through the coolant system. Which isn’t okay, as you are now losing cooling efficiency. On your daily driver this really is not an issue, would a vortex capsule help? wouldn’t hurt by having one installed. Now, you have a heavily modified car and you are data logging coolant temp. Under heavy load conditions or track conditions you will notice erratic coolant temperature. That erratic coolant temperature you are seeing is actually cavitation passing by your coolant temp sensor “steamed air pocket “. In small cases of cavitation you can see a rise in temperature by 10-15* then immediately drop back down to “normal” temp. In extreme conditions temperature can rise 20* + which can induce cylinder detonation - loss of power and the most fatal case… Engine failure. 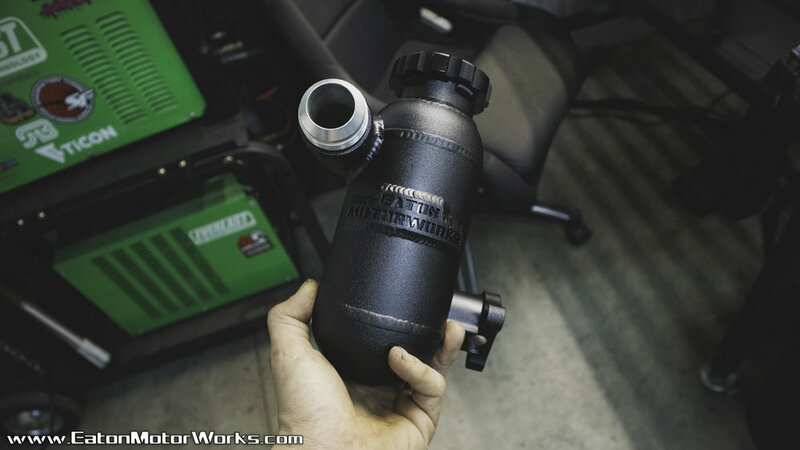 The factory coolant systems come with roughly a 12-13lb pressure cap. For a stock application that is fine. When you start modding the setup heavily, that’s when it becomes an issue however. In racing applications, specially road racing. It’s very common to see pressure caps in the 30-45 psi range. If you are not familiar with how a radiator cap works there is tons of information out there that can be easily searched, there’s a brief description below for this application since we are on this topic now. 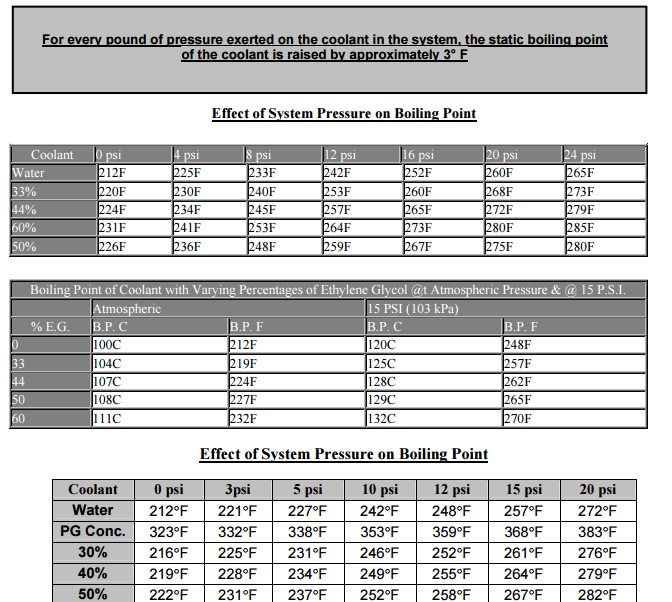 Water at absolute pressure “sea level” boils at 212*F, now for every 1 psi the boiling point of straight water is raised 3*F. A factory radiator cap rated at 12-13 psi now creates a boiling point of 248*F- 251*F. A pressure cap of 41 psi now increases the boiling point to 335*F, Thats 123*F higher than absolute pressure. 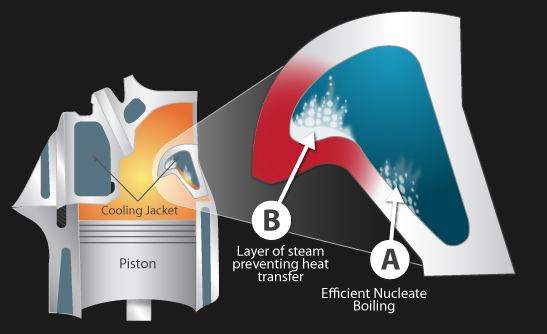 The main purpose of a higher pressure cap or why you would want to run one is simple, it doesn’t just raise the boiling point of the fluid but with a higher pressure in the coolant system, the more “steam/micro air pockets” are compressed resulting in a greater coolant - metal contact. 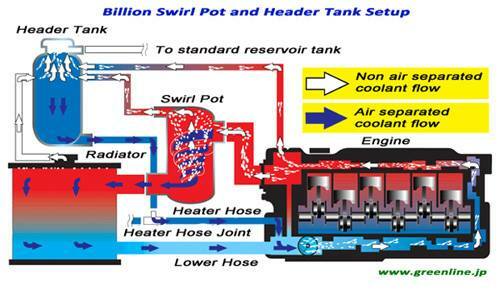 Effectively cooling the cylinder head & cylinder walls efficiently. It’s not advisable running an extremely high pressure cap on a stock setup, most stock radiators have plastic plenums. You could effectively blow your radiator apart or a weak stock radiator hose. A high pressure cap should only be used with upgraded aluminum radiators, preferably custom units designed for this application. Keep that in mind. AN fitted hoses with proper shielding, hard lines, reinforced silicon hoses with quality claps must also be used to insure no failure can occur. Now here is a look at the new bolt on product being produced to make this possible on your DSM & EVO. CNC billet bolt on housing that utilises a factory 3/8” & 1/8” threaded port for coolant sensors. 3.5” capsule with spherical caps for optimum vortex efficiency. Comes standard with 1/8” pressure release port or optional -4 AN adapter for expansion tank. Standard 12-13 psi cap “ as pictured “ or high performance 41 psi cap available. Works on both generations of DSM as well as the early EVO platform. 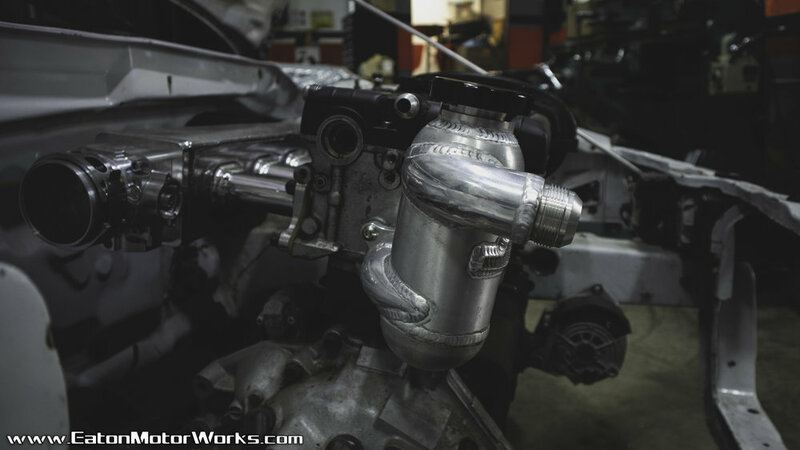 Optional Wastegate & turbo coolant ports available. Older PostNot your average classic.